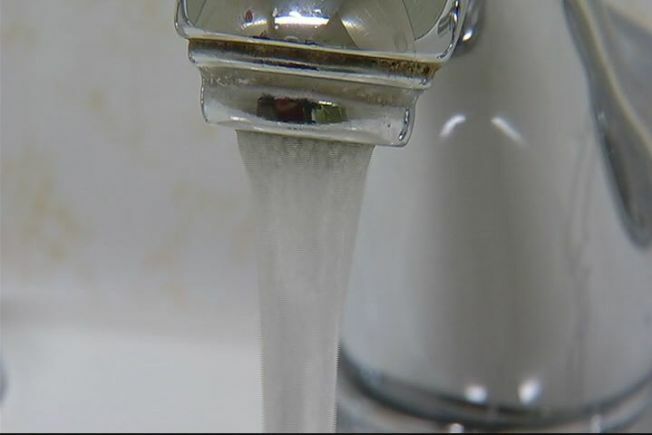 NBC Connecticut was the only station there when the Metropolitan District Commission, or MDC, announced its plan to cut a controversial surcharge that affects thousands of water customers. But it’s a partial victory – the new proposal revealed this evening cuts those fees in half. But here’s the catch. Instead of paying them for five years. Customers will pay the reduced fee for 25 years. And while the MDC would argue it answered to rate payers today, a state legislator who sat down with the troubleshooters says something has to change permanently. Celeste Linnell of South Windsor says she is getting soaked. Linnell said that in the past year year, her water bill from the Metropolitan District Commission, or MDC, has doubled to an annual rate well over $1,000. About half the quarterly bill is for water usage, the other half includes what the MDC calls a $105 non-member town surcharge Linnell has to pay, but most MDC customers do not. While Linnell uses a lot of water, another customer, Susan Arel, does not. And because of the surcharge, three quarters of her current bill has nothing to do with what comes out of her faucet. The issue of these higher water bills came to a boil last week when the MDC held a hearing about next year’s rates. “Any other business would be out of business, or any other chairman, would be out of that seat right now!” Arel said. The MDC serves eight member towns constituting about 110,000 customers who receive water and sewer service. And it serves nine non-member towns with about 8,000 customers who receive water but not sewer service. They are subjected to that surcharge. The MDC explains it is now agreeing to cut that surcharge and spread out the payments over 25 years. “We have listened to the public,” said MDC Asst. Dist. Counsel Chris Stone. But angry customers want to know … Why were they hit with this in the first place? The MDC said it’s to pay for costs connected with the water system infrastructure that has been in place for decades. “We have some pipes in the ground, some pump stations, that have a useful life of 100, 125 years, are still in the ground, and are still providing water,” Stone said. What still angers people is this sort of reach back, where these towns joined 30, 40, 50 years ago and were never told that at some point the company would come back and charge for physical assets. The utility added that the non-member town surcharge is part of a shift from charging usage based costs, to fixed charges, because people are using less water. This does not wash with non-member customers like Larissa Berkowitz, who, in addition to paying a separate sewer bill in their towns, now have an MDC bill twice that of customers from member towns according to a recent state report. Complaining is really all customers can do. Non-member towns do not have anyone on the MDC commission to vote on matters including water rates – the commissioners are politically appointed. And the MDC has a monopoly, people can not switch water companies. Even PURA, the Public Utility Regulatory Authority, can not tell the MDC to lower its rates. By law, PURA only regulates private, investor owned utilities. MDC is a public corporation. South Windsor State Representative Bill Aman, from one of the MDC’s non-member towns, wants to see the MDC under more scrutiny. “They sent out letters that said we did it because we need the money, is basically what it came down to, and we did it because our charter allows us to do it this way,” Aman said. “I think the ratepayers have a right, to, or should have a right to go to the next level to take a look at some of these proposed increases,” said Jack Betkoski, PURA Vice Chairman. The MDC plans to cut the non-member town surcharge are not yet set in stone. The full commission is expected to vote on the reduction next month.